Chapter 30.—Men are Not Saved by Good Works, Nor by the Free Determination of Their Own Will, But by the Grace of God Through Faith. Chapter 31.—Faith Itself is the Gift of God; And Good Works Will Not Be Wanting in Those Who Believe. John 8:34 - Jesus said, "Truly I say to you whoever commits sin is the slave of sin." Romans 6:22 - "But now having been freed from sin and enslaved to God, you derive your benefit, resulting in sanctification, and the outcome, eternal life." If you don't have it, this book by Jonathan Rainbow The will of God and the cross: an historical and theological study of John Calvin's doctrine of limited redemption has an excellent chapter on Augustine and limited atonement. Have a blessed night, my Reformed brothers! How can two walk together if they are not agreed on the vicious idolatry of the mass, the blasphemous supremacy and infallibility of the pope and a gospel of faith and works? Conclusion: Therefore they are not brothers. Granted, it would be nice if we could all get along, but the conflict between the seed of the woman and the seed of the serpent will not be resolved until the Lord returns. ==How can two walk together if they are not agreed on the vicious idolatry of the mass, the blasphemous supremacy and infallibility of the pope and a gospel of faith and works? Me: First, could you provide a concise definition of what you think "idolatry" is? Second, with your understanding of "idolatry" in mind, what precisely is 'idolatrous' in the RCC mass? Third, papal supremacy and infallibility is primarily an ecclesiastical issue—do you believe that a correct understanding of ecclesiology is necessary for salvation? Fourth, are you aware that some conservative Reformed scholars do not believe that Trent teaches "a gospel of faith and works?" I agree that the Roman Catholic Mass in Transubstantiation and genuflecting before the consecrated host is idolatrous, as is praying to statues of Mary and kissing the feet of statues of Jesus - yes - idolatrous. In that the Roman church avoids the thrust of the Second Commandment by subsuming it under the First, one can perhaps understand the reason for your question. IOW worshipping images, if even a piece of bread that is supposed to be God is idolatry. Yet the Heidelberg ought to be clear enough. Supper and the Pope’s Mass? ==Fourth, are you aware that some conservative Reformed scholars do not believe that Trent teaches "a gospel of faith and works?" Me: Dr. Charles Hodge and A.N.S. Lane are two that come to mind. Interesting take; however, it seems to me that since our Lord was worshipped (proskuneō) during His 3 year ministry, if the Eucharist is literally 'the body and blood of Christ', then I fail to see how bowing down after the change takes place in the Mass would constitute idolatry. BTW, think you should know I have not believed in the doctrine of the 'real presence' (as held by Catholics, the EO, and some Anglicans) for over two years now. You said: BTW, think you should know I have not believed in the doctrine of the 'real presence' (as held by Catholics, the EO, and some Anglicans) for over two years now. Me: Just curious if you believe in any 'real presence'? Have not solidified my position on the Eucharist, and remain 'open' to pretty much all the major views. But with that said, like Luther, I have difficulty with watering down our Lord's own words: "This is my body." So though I believe the Lord's Supper is a memorial, I also believe that He is truly present; I just cannot explain exactly how at this point in my studies. Sincerely hope I have answered your question in a reasonable fashion. Okay..thanks. That does clarify to some degree. You say your open to any major view, but do not currently believe the RC, Orthodox or Anglican view. So that sounds like you not really open to these views...but I think I get at what your saying. I am in a similar position I guess. Am Lutheran, but do not understand (and perhaps were not meant to) that Christ is "in, under and with" the bread/wine. Definitely see it as more than a memorial...but how He is present without violating Chalcedon, I wrestle with. Only follow up question I would have is if there was a reason you left the Lutheran view out of your list of views you do not believe? Or do you see the Lutheran view as mainly the same as Anglican, Ortho and RC? Me: I do not currently believe what the RCC, EO churches, and some Anglicans teach—i.e. that the bread and wine literally, in the fullest sense, become the body and blood of our Lord—but remain open to the possibility that I have incorrectly understood the teaching. Me: The whole 'substance' and 'accidents' issue began to trouble me; I have no problem with notion that the literal body and blood of our Lord could still seem to our senses (sight, smell, touch, taste) to be ordinary bread and wine, but if the 'substance' had truly changed into the physical body and blood of our Lord, a DNA test should demonstrate that. Cardinal Ratzinger, before becoming Pope Benedict XVI, had some interesting thoughts on this issue, but they seemed to be at odds with the RCC 'traditional' understanding. Me: The matter is a bit complex, but one of the primary reasons why I "left the Lutheran view out of [my] list" was to avoid confrontation/s with some of the frequent posters here at BA. But, risking possible confrontation, I personally understand "the Lutheran view as mainly the same as Anglican, Ortho and RC". You said: I do not currently believe what the RCC, EO churches, and some Anglicans teach—i.e. that the bread and wine literally, in the fullest sense, become the body and blood of our Lord—but remain open to the possibility that I have incorrectly understood the teaching. Me: Okay...makes sense. Do you have an opinion as to if there was a consensus, in the main, on this matter in the early church? You said: The whole 'substance' and 'accidents' issue began to trouble me; I have no problem with notion that the literal body and blood of our Lord could still seem to our senses (sight, smell, touch, taste) to be ordinary bread and wine, but if the 'substance' had truly changed into the physical body and blood of our Lord, a DNA test should demonstrate that. Me: Right, from what I understand of the RC (others) a DNA test should confirm or prove false their claims...whereas the Lutheran view does not have this problem. You said; Cardinal Ratzinger, before becoming Pope Benedict XVI, had some interesting thoughts on this issue, but they seemed to be at odds with the RCC 'traditional' understanding. Me: interesting. Do you have a source I could read concerning this? You said: The matter is a bit complex, but one of the primary reasons why I "left the Lutheran view out of [my] list" was to avoid confrontation/s with some of the frequent posters here at BA. But, risking possible confrontation, I personally understand "the Lutheran view as mainly the same as Anglican, Ortho and RC". Me: Okay...thanks. I do think the Lutheran view avoids someof the issues you mention though. Me: I think when polemics are jettisoned, one will discern that there is a general consensus among the CFs (who write on this issue), which speaks to both a spiritual and physical 'real presence' in the Eucharist. Me: Could you explain this a bit further; for I thought the Lutheran teaching is that our Lord's body and blood are literally present in the Eucharist. As for Ratzinger/Benedict XVI, in the book, God Is Near Us - Google preview, Ratzinger offers some interesting reflections on the Eucharist. In the 5th chapter, "The Presence of the Lord n the Sacrament", he delves into "three questions above all that are opposed to the belief in the real presence of the Lord" (p. 76 ff. - see preview linked to above). 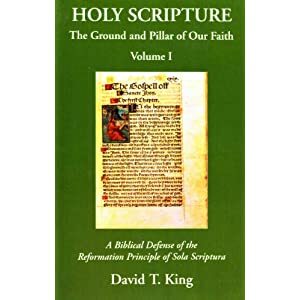 He places an emphasis on "the whole person", stating that: "Body, in the language of the Bible, denotes rather the whole person, in whom body and spirit are indivisible one." (Page 79.) And then a bit later he gets into what takes place via "transubstantiation" (p. 84 ff. ), which to me is quite complex and deep. After reading through his reflections, I am still just a bit confused as to exactly what he is attempting to convey, but it seems to me that he is saying that in the Eucharist the transubstantiated elements become the means by which our Lord is present in His entire "person" (i.e. divinity and humanity/spiritual and physical). Of Free Will they (our churches) teach that man's will has some liberty to choose civil righteousness, and to work things subject to reason. But it has no power, without the Holy Ghost, to work the righteousness of God, that is, spiritual righteousness; since the natural man receiveth not the things of the Spirit of God, 1 Cor. 2:14; but this righteousness is wrought in the heart when the Holy Ghost is received through the Word. These things are said in as many words by Augustine in his Hypognosticon, Book III: We grant that all men have a free will, free, inasmuch as it has the judgment of reason; not that it is thereby capable, without God, either to begin, or, at least, to complete aught in things pertaining to God, but only in works of this life, whether good or evil. "Good" I call those works which spring from the good in nature, such as, willing to labor in the field, to eat and drink, to have a friend, to clothe oneself, to build a house, to marry a wife, to raise cattle, to learn diverse useful arts, or whatsoever good 6]pertains to this life. For all of these things are not without dependence on the providence of God; yea, of Him and through Him they are and have their being. "Evil" I call such works as willing to worship an idol, to commit murder, etc. They (our churches) condemn the Pelagians and others, who teach that without the Holy Ghost, by the power of nature alone, we are able to love God above all things; also to do the commandments of God as touching "the substance of the act." For, although nature is able in a manner to do the outward work, (for it is able to keep the hands from theft and murder,) yet it cannot produce the inward motions, such as the fear of God, trust in God, chastity, patience, etc. You said: Could you explain this a bit further; for I thought the Lutheran teaching is that our Lord's body and blood are literally present in the Eucharist. Me: Well, yes, Lutherans believe the body/blood are literally present...but no substance and accidens distinction. The bread and wine are still bread and wine, but Christ is "in, with and under" the bread and wine. So, if I understand this correctly anyhow...DNA would still show bread/wine. Sorry that is a very short explanation. We were packing all day for vacation...and will be gone for a week. Perhaps we can pick it up further when I get back as I doubt there will be any internet connection (at least there was not last year). I do appreciate your link to Ratzinger and will check it out. Have a fun, and safe, vacation! Did you write an article at your blog on that with references, etc. ; and did they include Marin Chemitz's analysis of the Council of Trent?